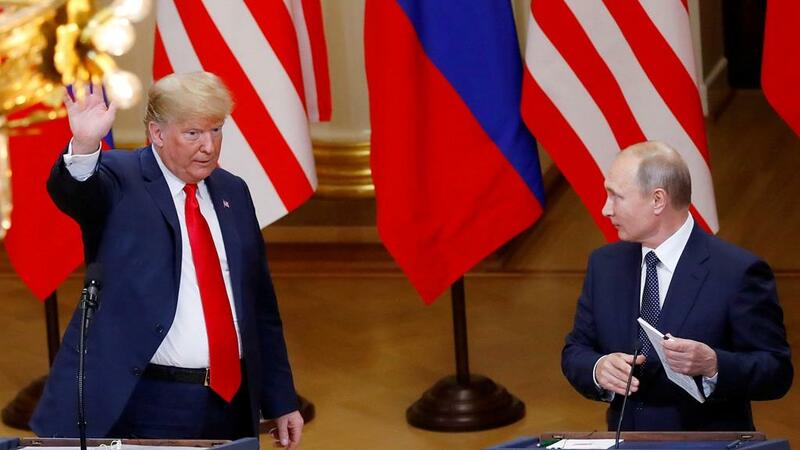 WASHINGTON, Nov. 29 (CGTN) -- U.S. President Donald Trump on Thursday abruptly canceled a planned meeting with Russian President Vladimir Putin in Argentina, registering his disapproval of Russia's treatment of Ukraine and casting new uncertainty over U.S.-Russian ties. Trump's tweet, from aboard Air Force One shortly after takeoff from Washington on the way to Buenos Aires for a Group of 20 (G20) summit, was a sudden turnaround. Kremlin spokesman Dmitry Peskov told the RIA news agency that the Kremlin regretted Trump's decision and said Russia is ready for contact with him. "A cancellation means that the discussion on key international issues is being postponed indefinitely," Peskov said. Trump based his move on advice from senior advisers who have taken a harsher tone toward Russia than he has. He was briefed on Air Force One by Secretary of State Mike Pompeo, White House chief of staff John Kelly and national security adviser John Bolton, White House spokeswoman Sarah Sanders said.